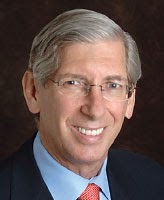 Psych News Alert: New Year's Message From APA President Jeffrey Lieberman, M.D. New Year's Message From APA President Jeffrey Lieberman, M.D. As 2013 draws to a close, I want to wish you a happy, healthy, and productive new year. The past year has been eventful with the successful launch of DSM-5, the transition in APA's CEO leadership, and the arrival of the Affordable Care Act and the final rule for the Mental Health Parity and Addiction Equity Act, among other significant events. I would like to express my gratitude to all of the staff at the American Psychiatric Association for their hard work and support during my year as President and what they do every day for our profession and to make this organization a success. We enter 2014 with bright prospects and great challenges. I am confident that we will rise to the occasion and find a way to overcome every challenge and as we endeavor to provide the best quality care to persons with mental illness and in need of psychiatric treatment. It is a privilege to be part of, much less serve as President of APA, and I want to thank you for this opportunity and for all that you do for our profession and for APA. In closing, I would like to quote one of our great leaders who we lost in the past year but I know will continue to be an inspiration to us all.